EDM had such an amazing year in 2017 with so many big-time breakout artists coming from the popular genre. We expect continued success for the electronic scene in 2018 as fans have grown to love the unique sound. Our TapSongz Team recently came across GhostDragon, an awesome EDM artist out of San Francisco, who has a true talent in music. After hearing a track or two on SoundCloud we wanted to get to know GhostDragon to get the latest on his upcoming projects and passion for music. We had the opportunity to interview the rising DJ to learn more about what is in store for the new year. GhostDragon realizes EDM has become much more mainstream over the last year or two, but still loves some of the unique sounds that artists have come up with in the genre. The young artist is releasing a brand new future bass track on Friday, which he described as having influences of Jack U and Porter Robinson. 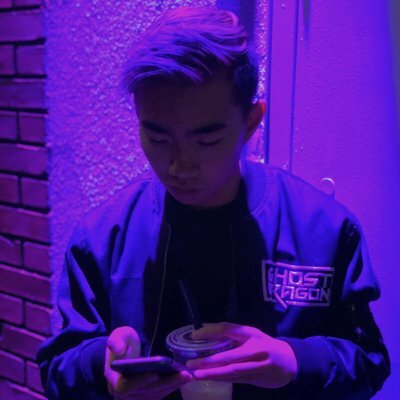 “I created the track while I was in Taiwan back in July and I finally completed it this past year in December,” GhostDragon told our TapSongz Team. The west coast DJ has been hard at work having also recently released a BTS Remix, which can be heard on SoundCloud. “The track ‘Mic Drop’ from BTS has been very popular globally so I decided to add a future bass drop to it,” he said. We love how the track turned out and believe it shows GhostDragon’s true potential as an artist. As for 2018, GhostDragon is excited for what is in store. “My goals for 2018 are to release more music on labels, play some more shows, and possibly tour as well,” he said. We believe 2018 could be a breakout year for GhostDragon who has exemplified over the last several months that he has what it takes to reach the next level. Our TapSongz Team looks forward to following his journey and can’t wait to hear more new fresh music! Here at TapSongz, we thank you for reading this feature article as we continue finding tomorrow’s greatest music today!